Description: Simple clean lines and a geometric shape are the hallmark of this Mission styled table lamp. The shade is Beige with Honey trim, with Green glass surrounding the Amber cast glass jewel and an Orange diamond. 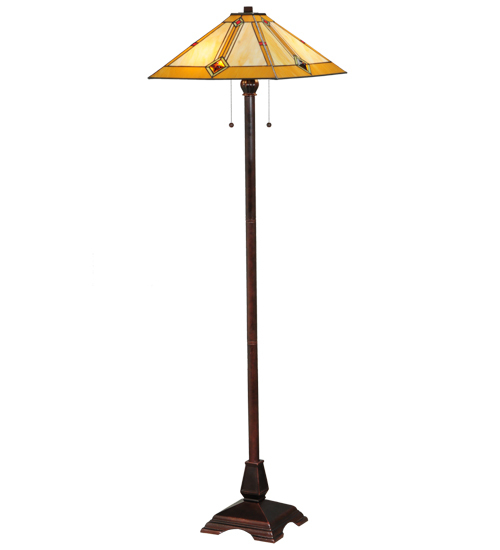 The floor base is hand finished in a warm Mahogany Bronze and supports a shade that is handcrafted using the same technique as the Louis Comfort Tiffany Studio.